"We've had requests from everybody from politicians to celebrities, to professional riders. 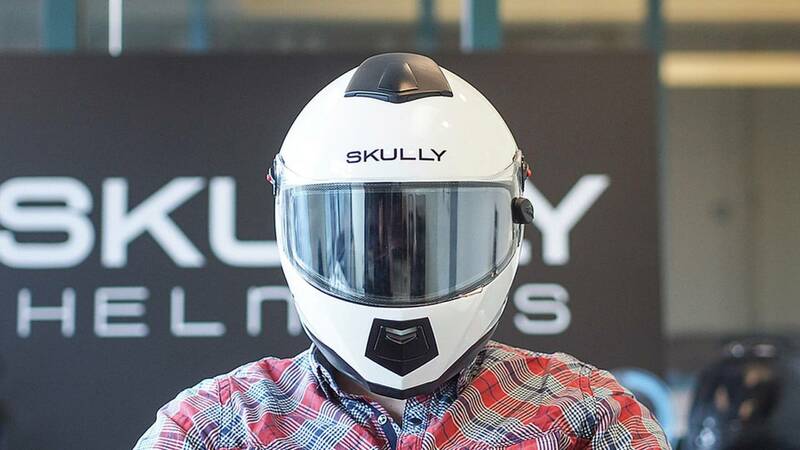 The time will come," Skully co-founder Marcus Weller discloses as a polite way of telling me that my time in the high-tech helmet will be confined to their tech incubator office building. 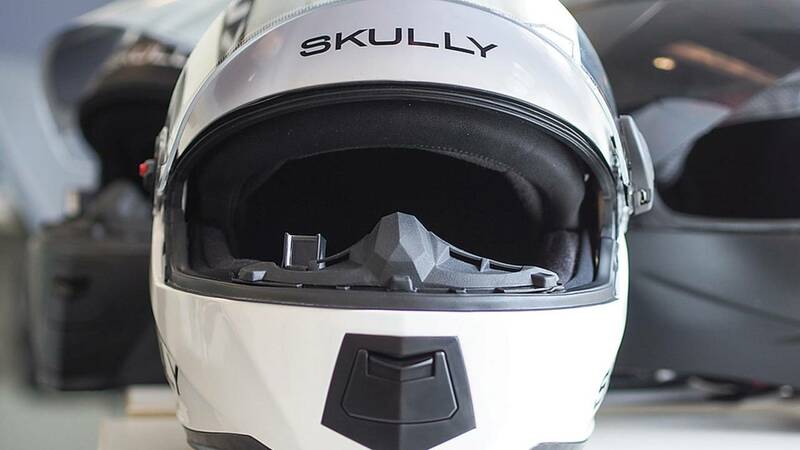 So, no you're not about to read the typical RideApart many-miles-ridden-gear review of the Skully AR-1… not just yet. I knew this limitation before meeting with Marcus and his brother Mitchell in San Francisco's South Beach, but I had to ask anyway, "Not gonna happen today." Fortunately, the folks behind Skully were happy to let me wear the helmet and demo its features, but from the safety of an office chair. 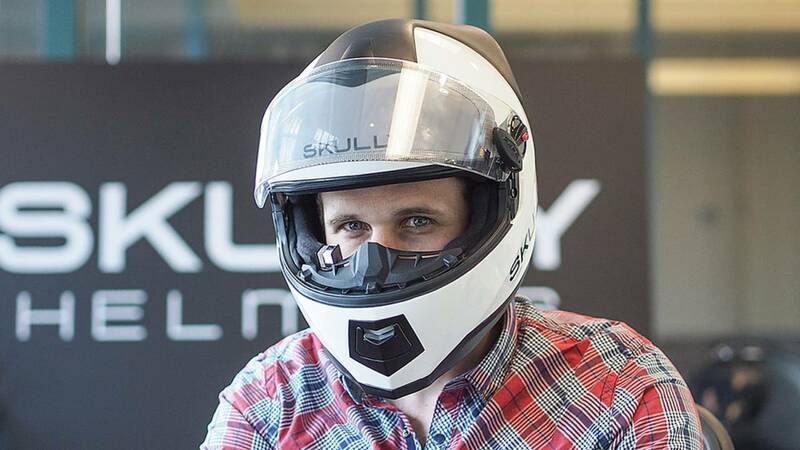 The $1,500 motorcycle helmet generated incredible interest when a pre-order campaign on Indiegogo launched in August. 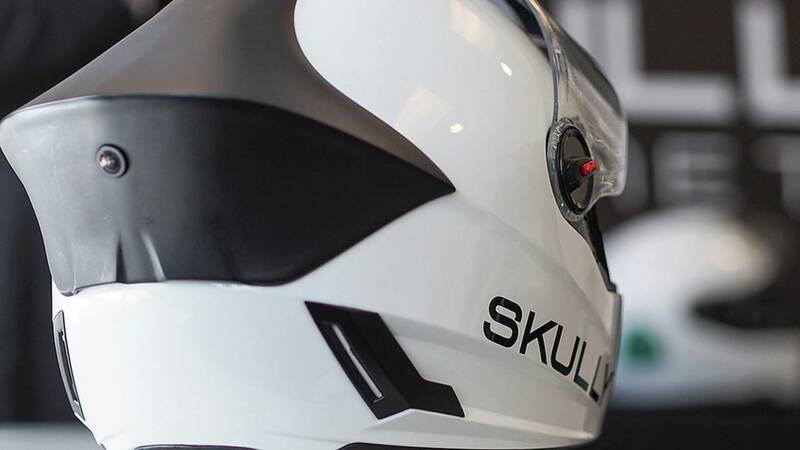 As a reminder, the Skully AR-1 packs some forward-thinking technology to justify the price, including a Google Glass-style heads-up display prism, a built-in rear-view camera, Bluetooth connectivity, and a trick visor that tints electronically. Before demoing the rear-view camera for me, Mitchell gleefully trotted out a Reevu helmet. Reevu, somewhat famously, tried to solve the problem of poor rear visibility for motorcyclists just a few years ago. The Reevu uses a complex mirror system built into the helmet. 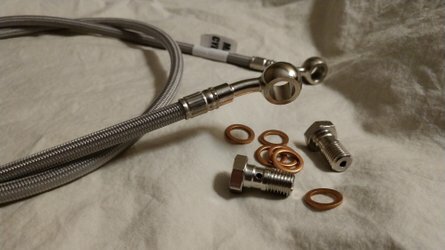 Rather than tell me why the Reevu doesn't work, Marcus wanted me to see for myself. "I don't want to say anything about it." The Reevu provides a rather narrow rear view, and the mirror mechanism in front of my eyes seemed a clear impediment to forward visibility. 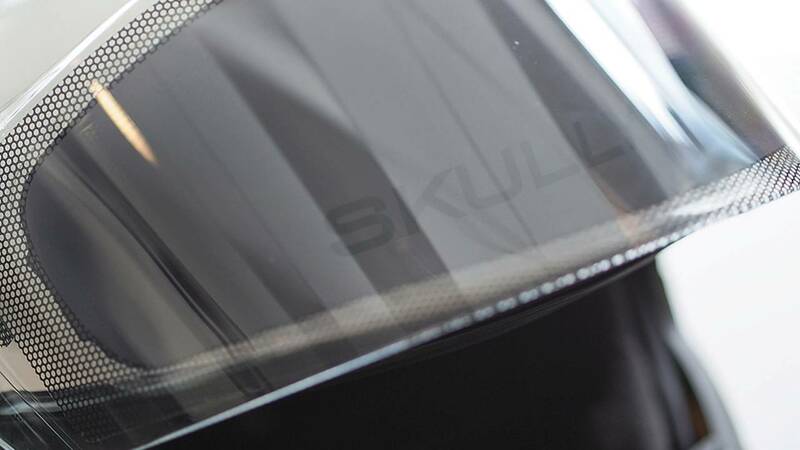 The rear-view camera in the Skully, however, has neither of these issues. The rearward view is wide -- I could see nearly 180 degrees behind, and "the production version has another 10 degrees of extra field of view," says Marcus. The view is not just wide, but also exceptionally clear, with a strong refresh rate on the heads-up display. That prism display is an easy glance away, but doesn't impede forward visibility the way Reevu's mirror does. Without a doubt, Skully's solution is better. "Fit wise, we're really close and our model has really been the Shoei RF-1200. 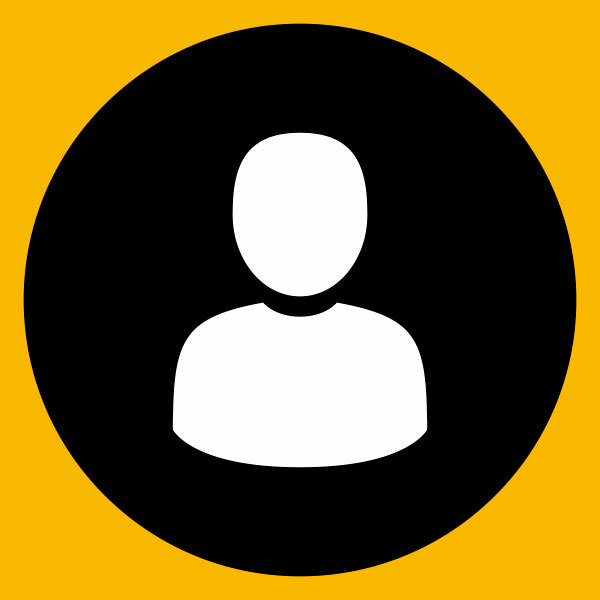 It fits a lot of people really well," Marcus explained, and for me that's great. 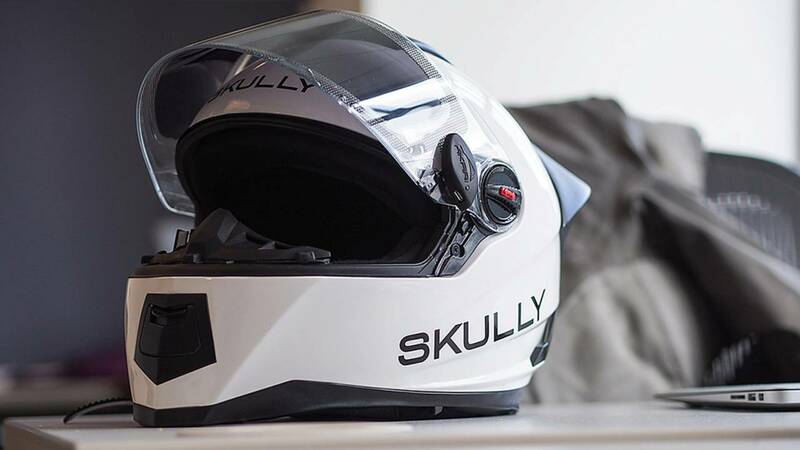 The Shoei RF helmets fit my head -- and the heads of many riders -- perfectly, and in Skully's aim to reach as broad an audience as possible they've targeted the intermediate-oval shape for the AR-1. The model I wore in their office was three-sizes too large for my head, so I can't speak to how well they've nailed it, but the venerable Shoei is a great target for fit. As for finish and quality, "an inspirational brand for us has always been Schuberth." The pre-production copy I sampled feels solid, but it's not ready for final evaluations. The quick-release strap buckle is a welcome touch. 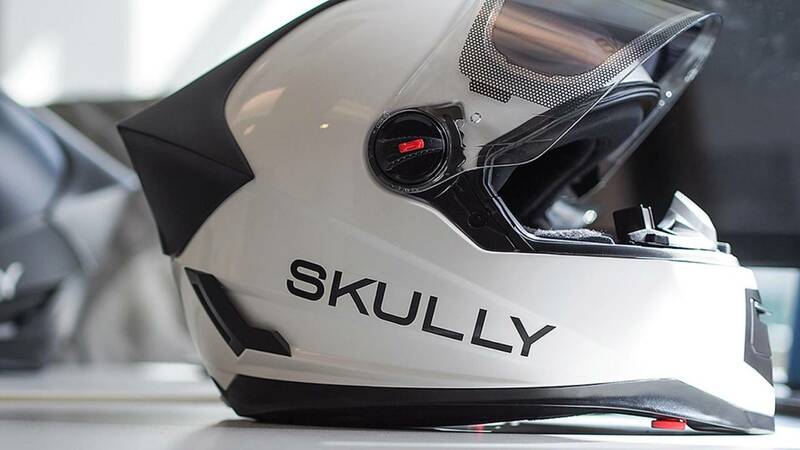 Of course, the Skully packs technology Schuberth doesn't. The electronic tinting visor is especially attractive to me as a daily commuter who hates packing a second visor for nighttime rides home. With the press of a button on the side of the face shield, the AR-1 visor toggles between nighttime-clear and daytime-shaded. The effect is slick, and further "there is an ambient light sensor. Tints automatically." The tint appears comparable to a light smoke tint -- see photos below of the before and after to gauge the strength of the effect. All these electronics, including the Bluetooth connectivity, will demand ample battery power. 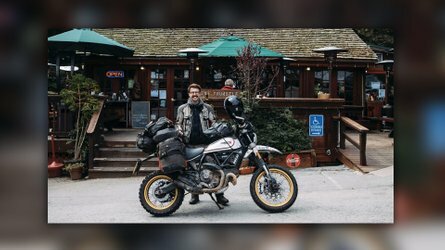 "You're probably going to get one to two weeks of riding before you gotta charge it," Marcus said of my riding habits, extrapolating from their cited battery life of "about nine hours of continuous use." That seems a solid benchmark to hit. 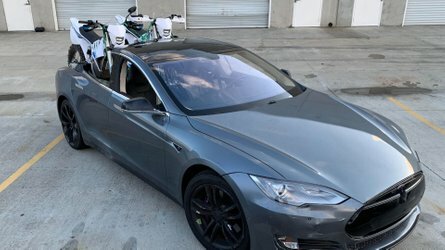 "That's where we wanted to be between not having to charge it every time you ride and keeping the weight down." The weight of the AR-1 is listed as around 180 grams heavier than a Shoei RF-1200, comparable in weight to a Schuberth modular unit. 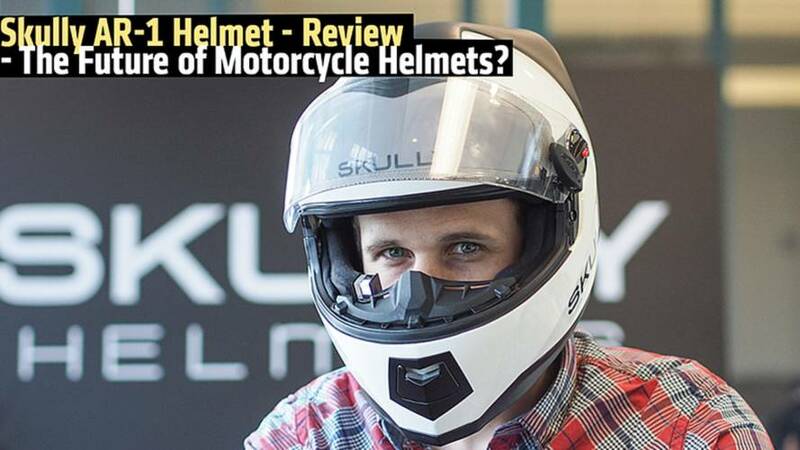 As far as motorcycle helmets go, the Skully is on the heavier end of the scale, but it certainly isn't the heaviest helmet on the market. Or rather, it won't be. 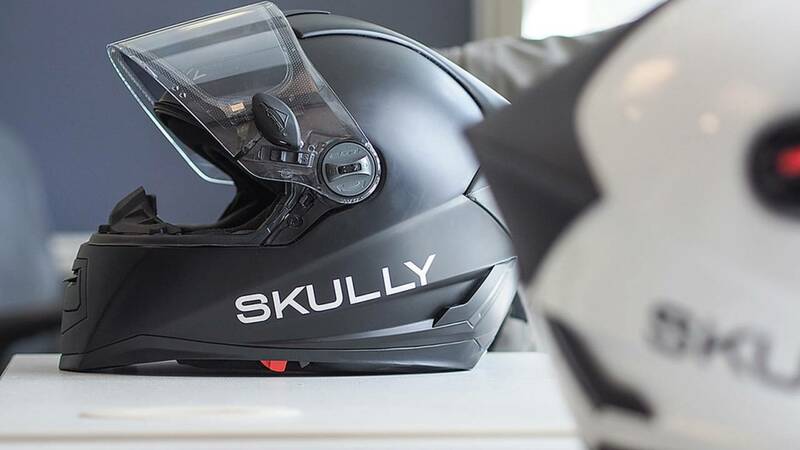 For now, the Skully helmet is still months away from hitting the market, with a projected ship date of May 2015 for pre-orders, and likely into July of next year before the AR-1 can be bought outright. We're looking forward to it, as well as an on-road test with the helmet in the coming months. 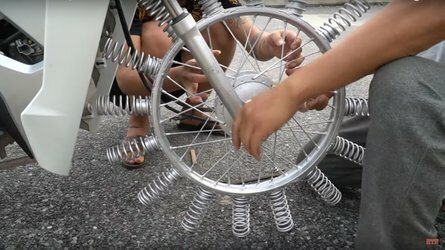 Stay tuned to RideApart for more.